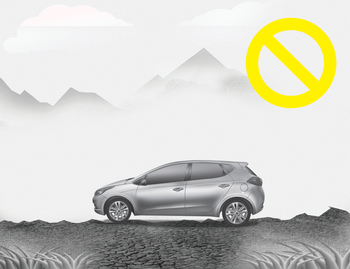 Never use the Smart Parking Assist System in the below conditions. Moisture frozen on the sensor. Ultrasonic interference other vehicle's. Such as horn sounds of other vehicles, motorcycle's engine noise, air brake noise of heavy vehicles and with the other vehicle's parking assist system working. Near a circular pillar or narrow pillar, or a pillar surrounded by object such as fire extinguisher, etc. Do not use the Smart Parking Assist System in the following conditions for unexpected results may occur and cause a serious accident. The driver must apply the accelerator and brake pedal when parking on inclines. If the driver is unfamiliar with applying the accelerator and brake pedal, a car accident may occur. 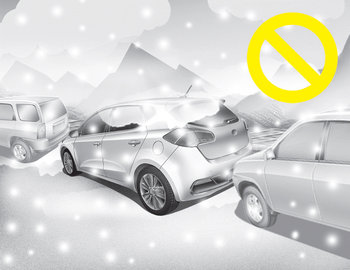 Snow may interfere with sensor operation or the system may cancel if the road is slippery while parking. Also, if the driver is unfamiliar with applying the accelerator and brake pedal, a car accident may occur. The system may not search for parking spaces if the space is too narrow. Even if it operates always be careful. The system is a supplemental for parallel parking. Diagonal line parking is not available. 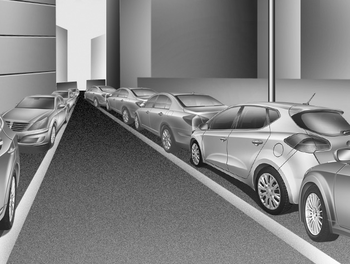 Even if the vehicle is able to enter the space, do not operate the Smart Parking Assist System. The system will attempt parallel parking. 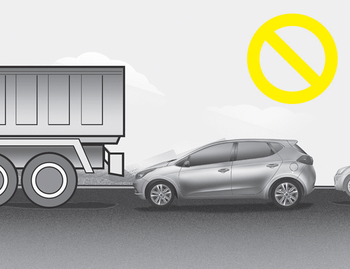 Parking in uneven roads, the driver needs to properly apply the pedal (clutch, accelerator or brake). If not, the system may cancel when the vehicle slips or an accident may occur. 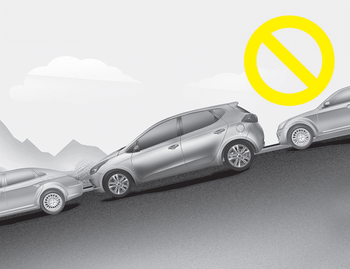 An accident may occur when parking behind a vehicle higher than yours. For example, bus, truck, etc. 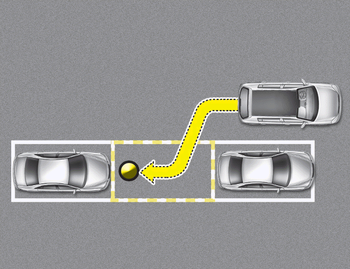 The system may search for a parking space even though an obstacle is in the parking space. An accident may occur if you continue to park the vehicle with the system. 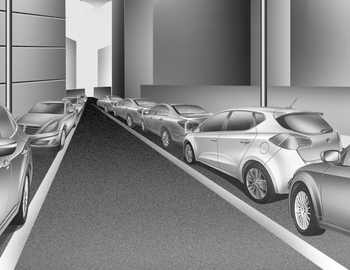 Do not solely rely on the Smart Parking Assist System. When leaving a parking space that is narrow and near a wall, the system may not work properly. 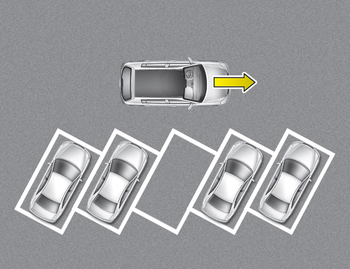 When leaving a parking space similar to the above picture, the driver must watch out for obstacles while leaving.